In New Jersey, you must obtain the required paperwork in order to register and title your newly purchased car in your name. The New Jersey Motor Vehicle Commission (MVC) is the body that is responsible for car registration and title transfer. 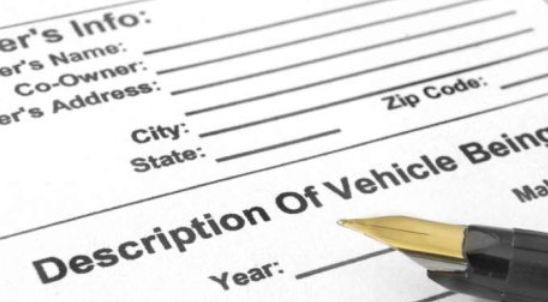 If you purchase a vehicle from a vehicle dealer, they will process the required paperwork on your behalf. However, if you purchase a vehicle from a private seller, you will handle all the required paperwork yourself. Continue reading this article to get for more information about the paperwork required when buying a car in New Jersey. Your information which includes the name, address, signature and New Jersey driver’s license number. A bill of sale, if the purchase price and sale date are not included in the title. Form OS/SS-2 (Odometer Disclosure Statement), if the odometer reading is not provided in the title. You must also have a valid emission sticker on the car in order to register or title the car. If it is missing, you need to take your car for emission inspection by state-approved inspection officers. The seller provides all required documents. You and the seller must fill and sign the title. You will need to pay a $60 title transfer fee. You will also need to pay vehicle sales tax. A title is an important document that shows proof of vehicle ownership in case of any question challenging the legality of the title. If the title is missing, lost or damaged, ask the seller to apply for a duplicate copy and give it to you. The previous New Jersey registration. Completed Form BA-49 (registration application) available at the New Jersey MVC office. Payment for fees and taxes: $60 title fee. Registration fee. Sales tax. You’ll also need to provide your New Jersey driver’s license number and Social Security number (SSN). Once you submit all the required documentation and pay the required fees and taxes, you will receive your license plates from the MVC. You can easily transfer vehicle registration into a new vehicle. You will need to provide the required documentation, prorated registration fees and pay a $4.50 transfer fee. It is important to order a vehicle history report of the car that you are purchasing. Based on a car’s VIN, a vehicle history report usually provides current or recent odometer reading, vehicle accident history, repair history and damage history. New Jersey has a lemon law that protects vehicle consumers from purchasing defective used vehicles. This law covers vehicles: That are no more than 7 years old. That have no more than 100,000 miles. That cost at least $3000 from a licensed car dealer. This law requires dealers to provide you with mandatory limited warranties if you buy a defective vehicle that fall under the above minimum coverage requirement.